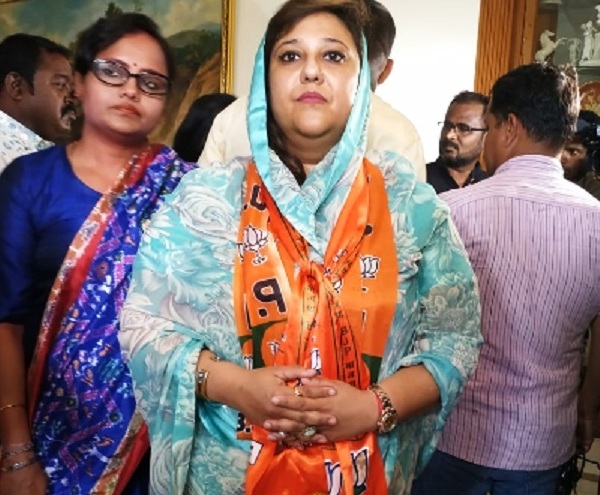 Bhubaneswar: Kandhamal MP Pratyusha Rajeswhari Singh, who resigned from the prime membership of the ruling BJD a few days back, joinined the BJP at a special programme here today. Notably, Pratyusha, who won the Kandhamal seat in 2014 on a BJD ticket, did not get a ticket from the BJD this time. As the ticket was given to KIIT and KISS founder and BJD RS Member Achyuta Samanta, she quit the party. Many senior leaders like Union Minister Dharmendra Pradhan, BJP Legislature Party Leader K V Singh Deo, national vice-president Baijayant Panda and State president Basant Panda were present. “Inspired by the ideals of Prime Minister Narendra Modi and his developmentals works, I joined the BJP today,” said Pratyusha.